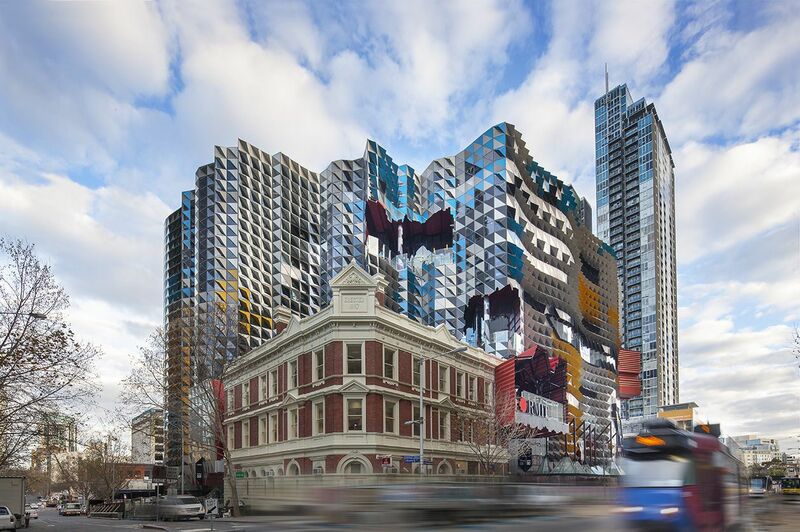 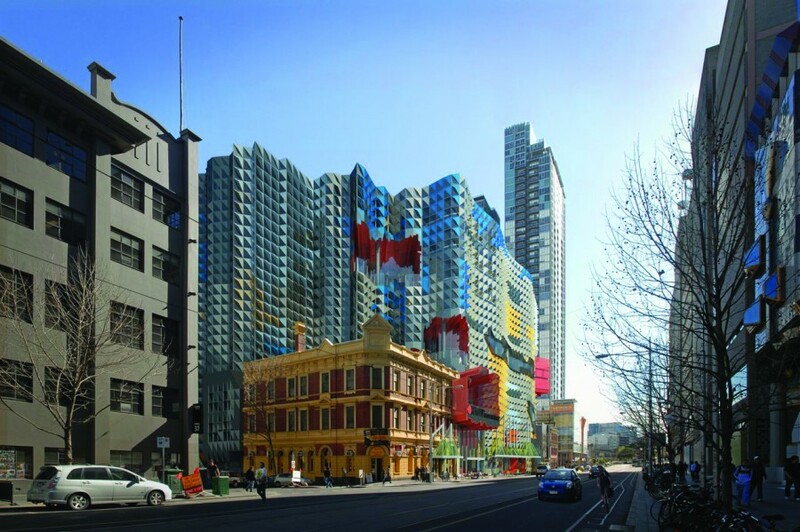 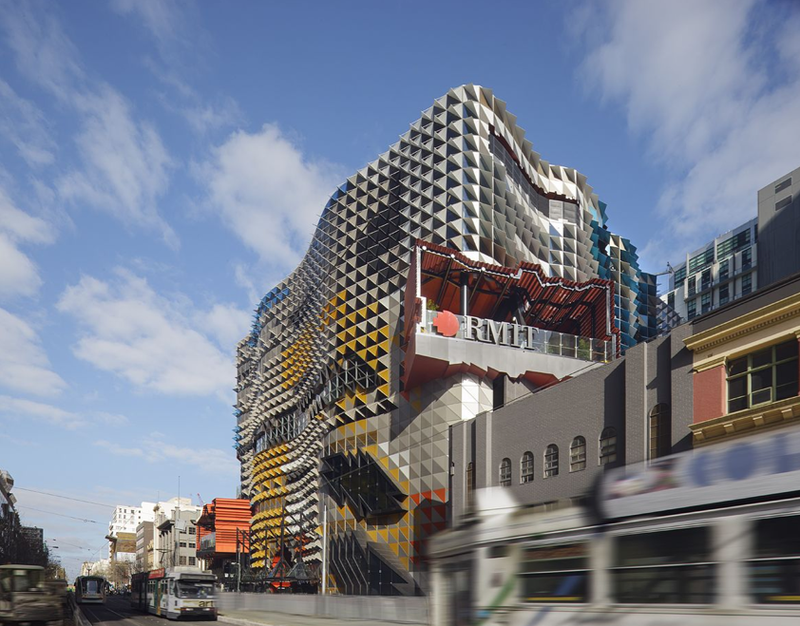 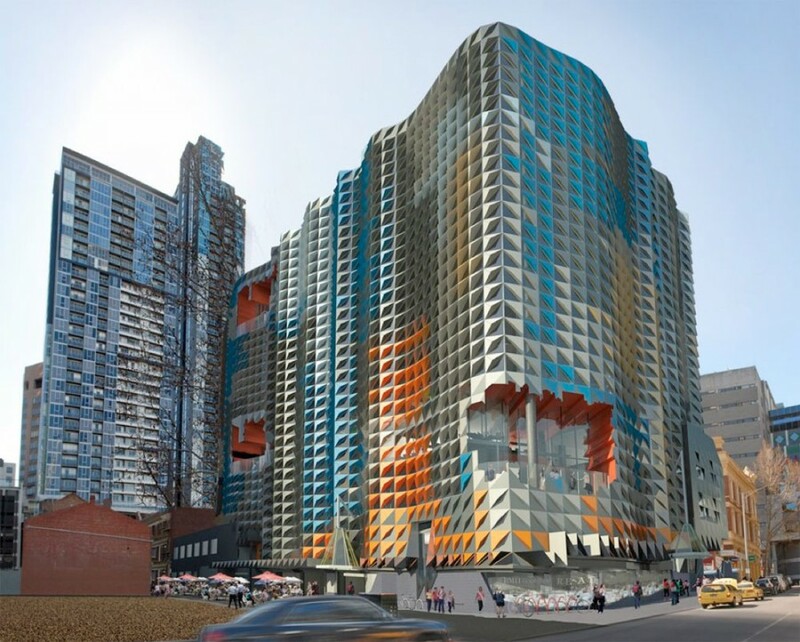 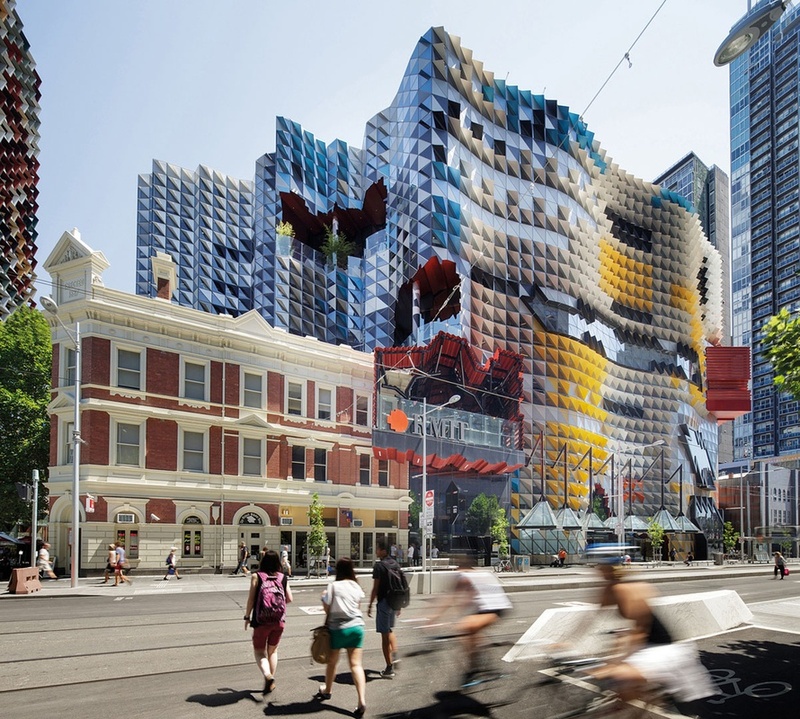 At over A$200 million, the Swanston Academic Building is the largest construction project ever undertaken by the Royal Melbourne Institute of Technology (RMIT). 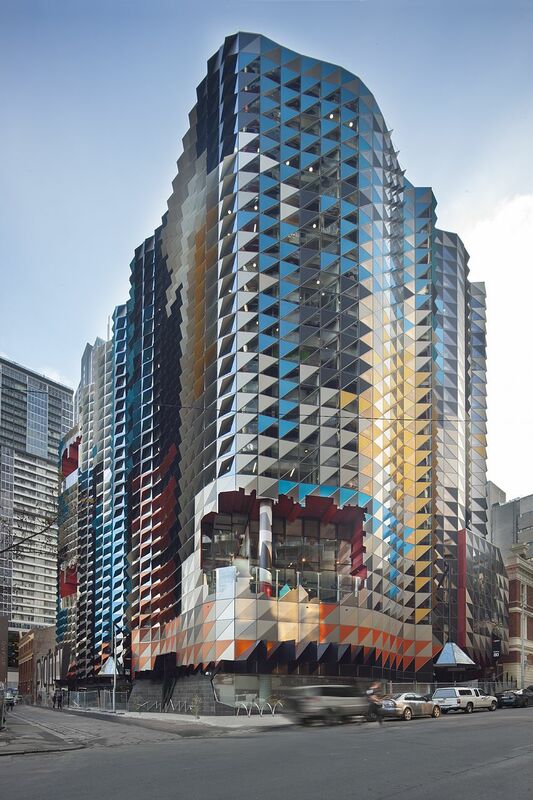 The 35,000-square metre, 11-storey building contains highly advanced, sustainable teaching and learning facilities. 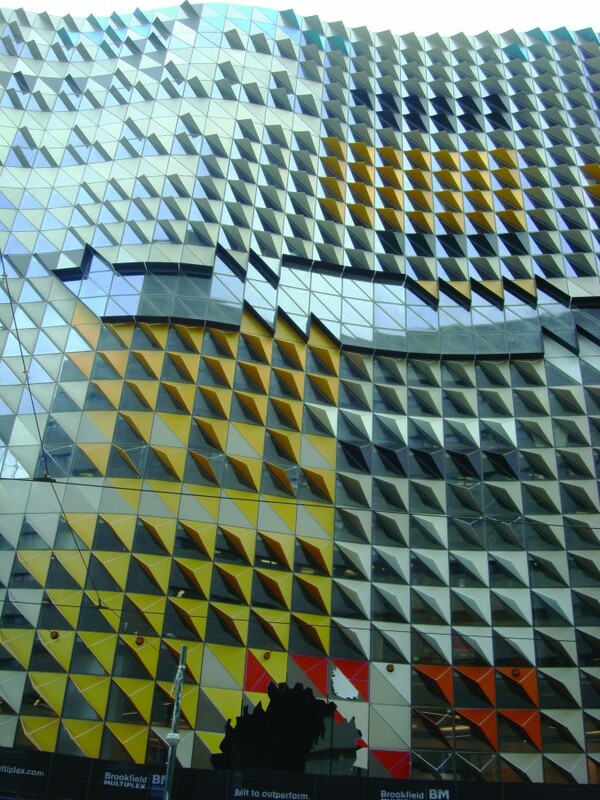 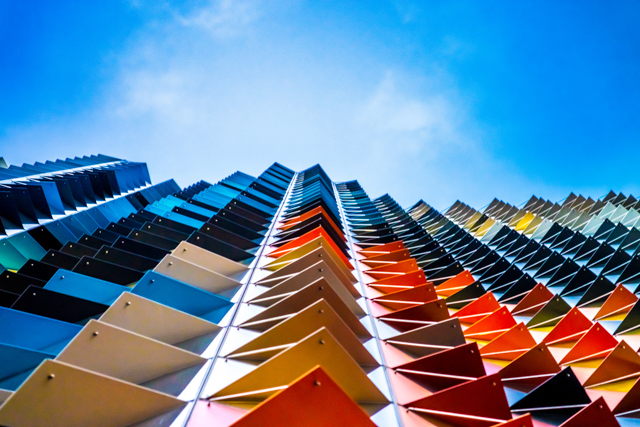 It has a visually stunning building envelope with no straight walls around the perimeter. 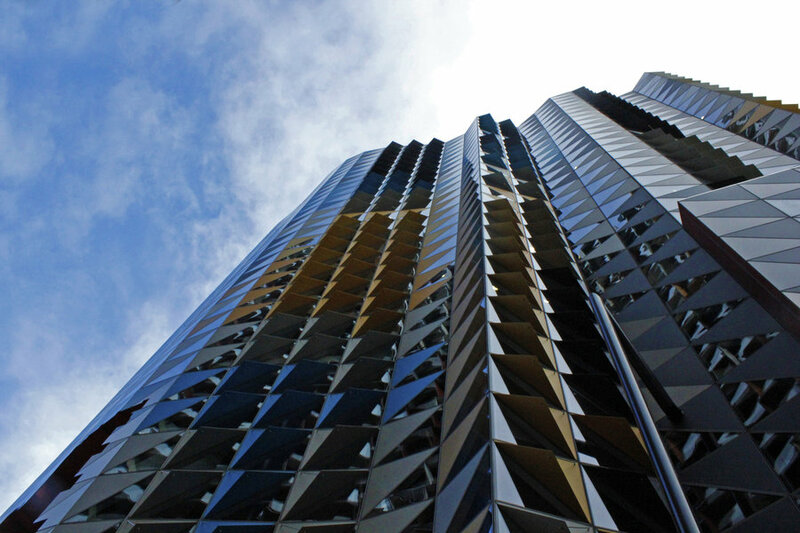 The high-performance façade includes external angular shaped sunshades, internal blinds and double-glazed units. 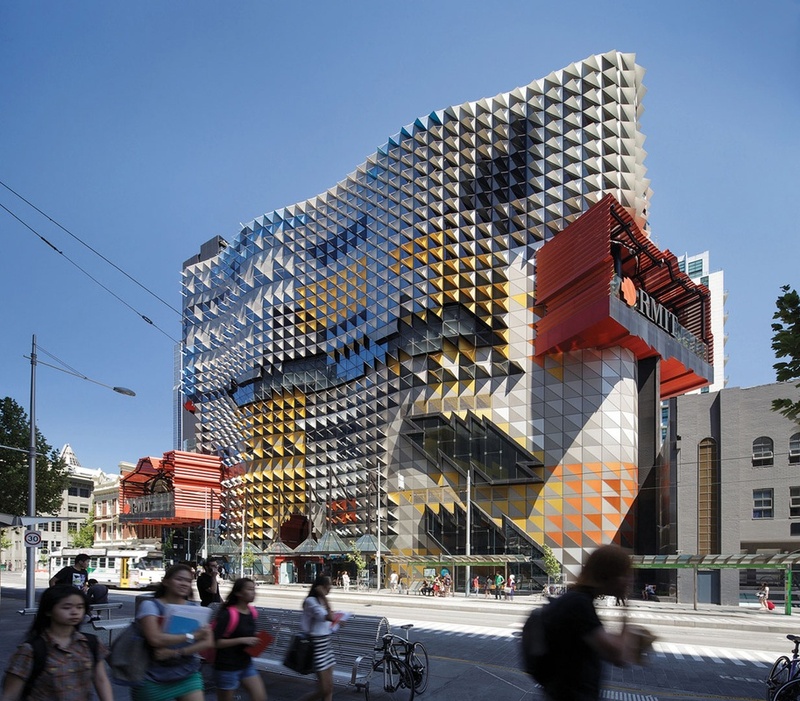 Key features include balconies from the two-storey cantilevered student social space overhanging Swanston Street to a further nine, double-height student portals for informal study and collaboration.